Last week, the New York Yankees came to terms with all eight of their arbitration-eligible players, agreeing on one-year contracts with each and avoiding going to arbitration hearings, which are set to begin on January 29th. A quick refresher on the process: Major League Baseball arbitration is a contractual process for players who have accrued three years of service time (but less than six) as well as those deemed to be “Super Two” players. Each team has an option to tender a contract to these players the following year and then the two sides have between the tender date and the start of the hearings to agree on a new contract for the following season, or a long-term extension. For 2018, January 9th was the deadline for players and teams who had not yet already agreed to terms to submit their bids for contracts. Both sides then have one final window - the three weeks between 01/09/18 and 01/29/18 to agree to terms. Usually this figure is somewhere in the middle, with the team usually bidding lower than the player and his agent. 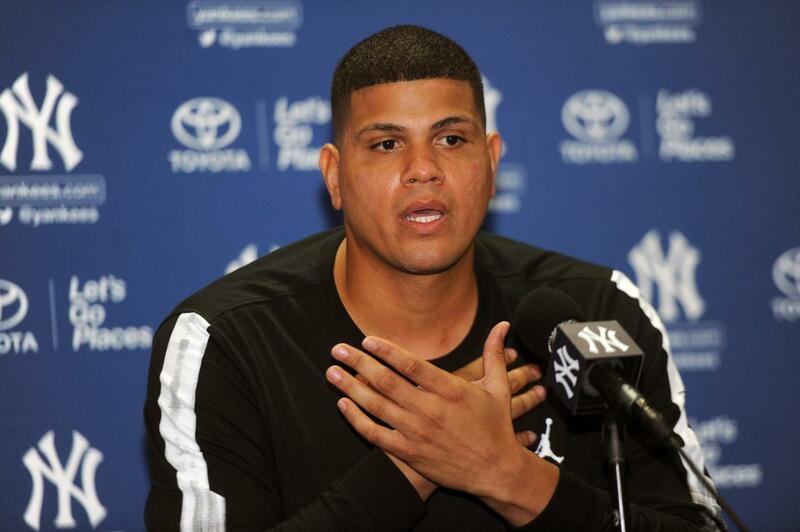 The Yankees tendered contracts to all eight of their arbitration-eligible players following the World Series and all eight of those players have now been locked up for the 2018 season. Since all players were able to settle before arbitration, the Yankees were able to avoid another messy situation like they went through with Dellin Betances last year. Ultimately, the Yankees won that case, but the effects of the dispute may carry on for years to come. 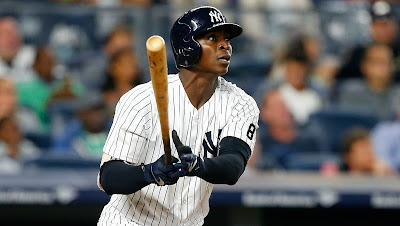 Ultimately, Betances was awarded the five million dollar figure he sought last year and Didi Gregorius was signed to a surprisingly low figure, as most fans and experts thought he might crack nine million dollars this season after his strong 2017 campaign. The eight contracts handed out added a hair under $30 million to the teams payroll and leaves the Bombers with still roughly $40 million in space under Major League Baseball’s Competitive Balance Tax (Luxury Tax) threshold as they look to sure up their roster ahead of Opening Day.